New preorder, Audiobook, and Reading List! 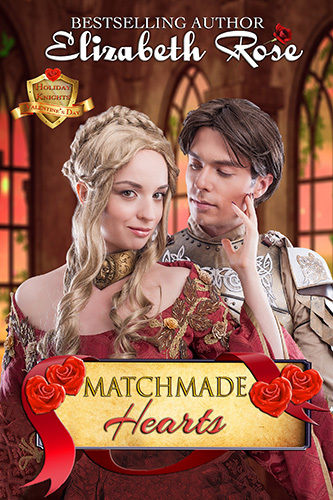 Just in time for Valentine’s Day is Matchmade Hearts, Book 2 in my Holiday Knights Series. This is a sweet and clean romance of Lady Philippa who is a matchmaker, and Lord Etienne de Beynac who is a novice training to be a monk. With the St. Valentine’s Day dance approaching, will the biggest match of the year be one that is totally unexpected? Preorder your copy today for only $2.99 by clicking the photo or HERE. Release date is of course on Valentine’s Day! 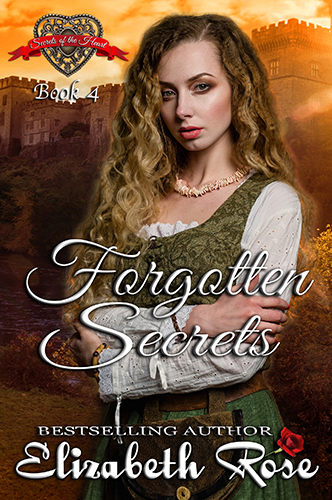 My Secrets of the Heart Series is coming to a close with the gossipy Lady Morag’s story, Forgotten Secrets. Do you remember the assassin, Lord Bedivere from Book 2? Well, he is back and he is also Morag’s love interest in this last book of the series. Be sure to preorder it today for only $2.99. It releases only a week after Matchmade Hearts on Feb. 20th. So I have two new books for you next month. Speaking of Valentine’s Day, I have a phenomenal facebook party planned with lots of Valentine’s Day gift baskets and giveaways. The next post will fill you in on the details of how you can enter to win some great gifts. I have another audiobook available for you, narrated by my very talented narrator, Kevin E. Green. 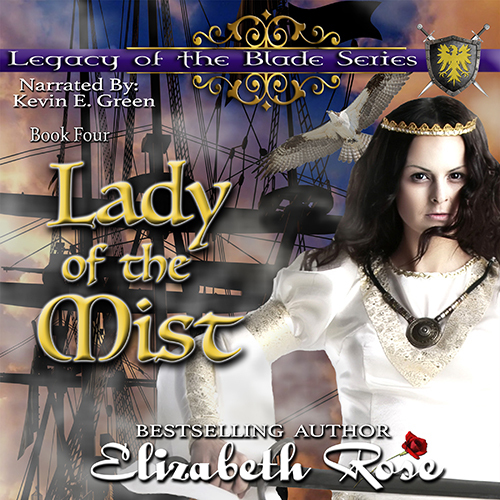 It is the last book of my Legacy of the Blade Series, Lady of the Mist. I love this book! It is about Lady Echo who has been stolen at birth and raised by pirates. If you purchase the ebook, you will be offered a discount on the audiobook on amazon. It’s only $7.47, normally closer to twenty dollars. If you enjoy audiobooks, you might want to think of signing up for a monthly membership with Audible.com. You can start your trial membership by listening to Lady of the Mist for free. Click here if interested. I’m not sure how cold it is where you live, but in the Chicagoland area, it isn’t just snowy and icy but frigidly cold. These are the days I write sitting next to my fireplace, but I assure you, I am looking forward to getting back out in my hammock in my outdoor office again. I am anxiously awaiting spring! Keep warm and curl up with a good book or two. Check out my 17 different series as well as my single titles by clicking on the headers on my website home page. I have had a lot of fans ask for a reading list of all of my books and the reading order. With 80 books completed now, this list might make it easier for you to see all my works at a glance. This entry was posted in audiobooks, Facebook Party, Medieval Romance, Paranormal Romance, Pre-order, Scottish romance, Uncategorized and tagged holiday romance, Valentine's Day by Lizrosek. Bookmark the permalink.